Encounters at the Heart of the World concerns the Mandan Indians, iconic Plains people whose teeming, busy towns on the upper Missouri River were for centuries at the center of the North American universe. We know of them mostly because Lewis and Clark spent the winter of 1804-1805 with them, but why don't we know more? Who were they really? In this extraordinary book, Elizabeth A. Fenn retrieves their history by piecing together important new discoveries in archaeology, anthropology, geology, climatology, epidemiology, and nutritional science. Her boldly original interpretation of these diverse research findings offers us a new perspective on early American history, a new interpretation of the American past. By 1500, more than twelve thousand Mandans were established on the northern Plains, and their commercial prowess, agricultural skills, and reputation for hospitality became famous. Recent archaeological discoveries show how these Native American people thrived, and then how they collapsed. The damage wrought by imported diseases like smallpox and the havoc caused by the arrival of horses and steamboats were tragic for the Mandans, yet, as Fenn makes clear, their sense of themselves as a people with distinctive traditions endured. 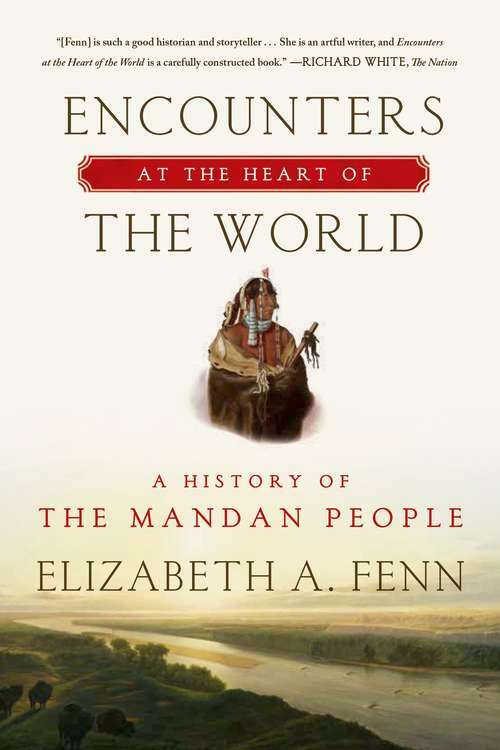 A riveting account of Mandan history, landscapes, and people, Fenn's narrative is enriched and enlivened not only by science and research but by her own encounters at the heart of the world.